And it didn’t feel quite right. I started embracing that Apparent Truth after an unfortunate run-in with Van Gogh and a Year 8 Art teacher. And I believed that I wasn’t creative for most of my young adulthood. It took (several) stern talking tos from my husband before I started shifting my perceptions around creativity. We are all creative at something or with something. 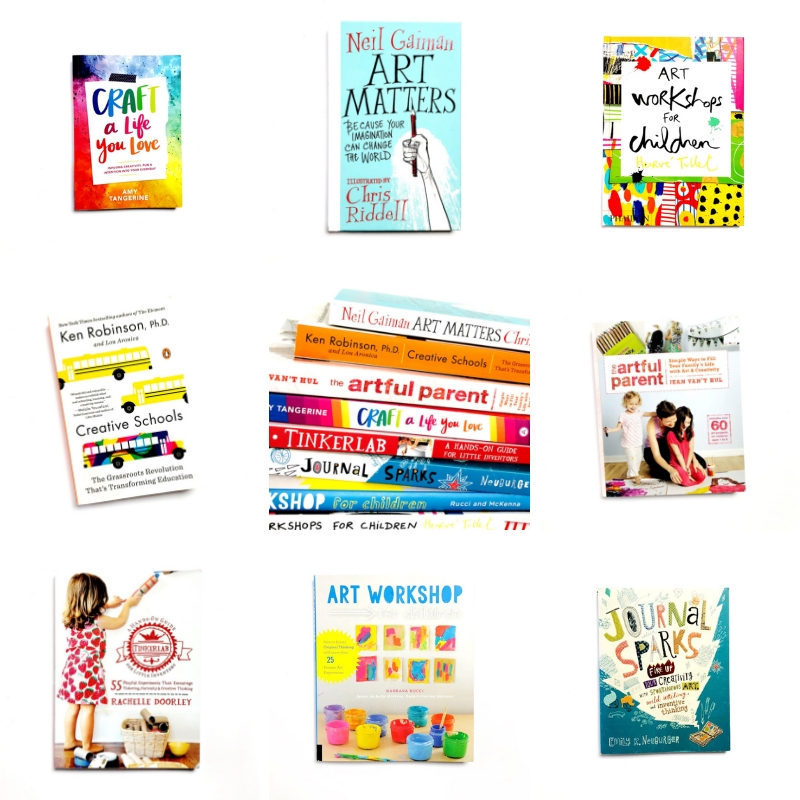 Here are some of my favourite books for mums who value creativity or who are looking to embrace getting creative with their little ones. This is my textbook. 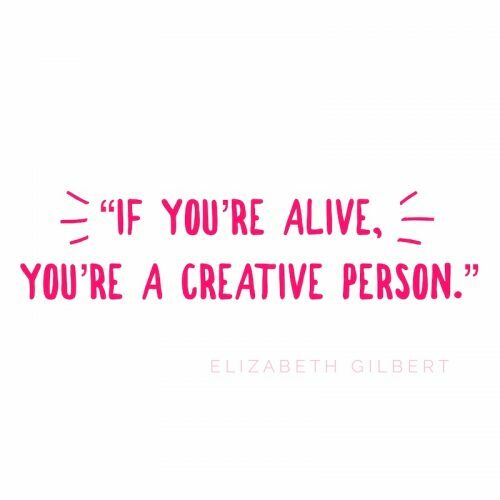 Elizabeth Gilbert is my guru. My main takeaway from this book? The world needs you to embrace and follow your creativity. If you’re going to buy any book on this list, make it Big Magic. This book is like the ultimate pep talk from one of my Instagram Faves, Amy Tangerine. It’s Amy’s autobiography meets journal meets inspirational self-help guide. It’s an awesome manifesto on pursuing your creative passions. Do you have a journaling habit? We have art journals here and this book started that family habit. Every few weeks, we sit down at the dining table, pull out this book, find a prompt and spend quality family time journaling. You can read more about Emily Neuburger in her Oh Creative Lady interview. This book gives me tingles. Herve Tullet is a legend in my books and this glorious, over-sized guide book shares some of the art experiences he has delivered to children around the world. The joy of each arty experience leaps off the page and each project is filled with insightful tips and tricks. My adoration for Sir Ken rivals that of my love for Elizabeth Gilbert. Have you seen his TED talk on how schools are killing creativity? It’s easy to get down on the modern education system and the onslaught of standardised testing. Sir Ken provides a voice of reason on how we can work our way forward for the benefit of all students. This book synthesises research, anecdotes and professional recommendations in an easily digestible way. This book is pulled together from various Neil Gaiman speeches and poems. His powerful words are perfectly paired with the illustrations of Chris Riddell. This is the book to pull off the shelf when you’re questioning the value of your creations. 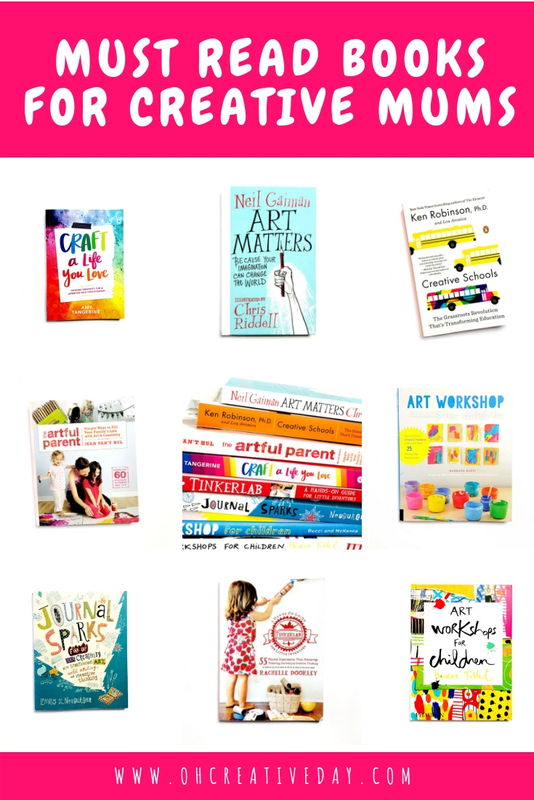 This book contains over 60 artsy, creative activities for you to explore with your mini makers. 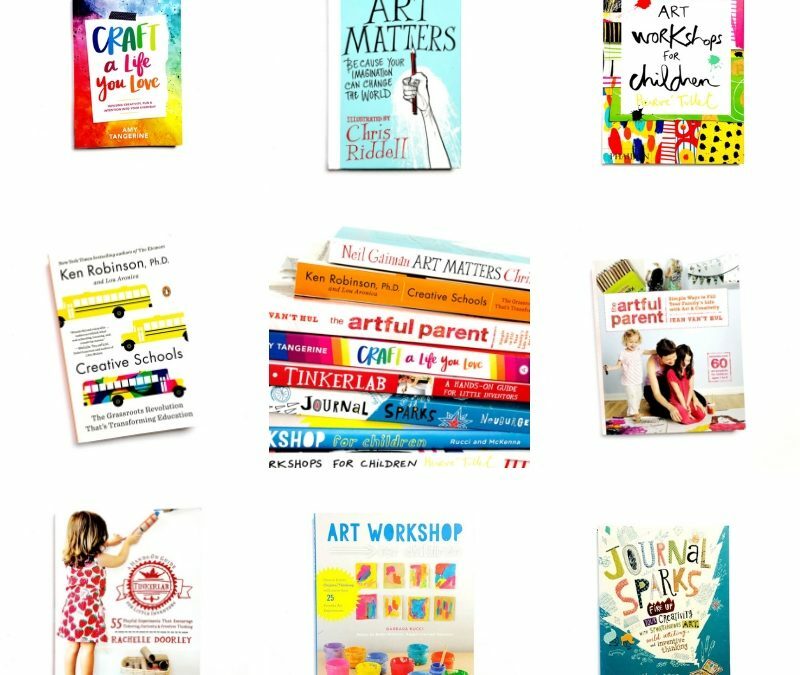 The first section of the book contains suggestions on how to prepare for art experiences, what materials to consider and ways to speak about your child’s art with them. You may know the author of this book from her site of awesomeness, Art Bar. Oh Art Bar… how do I love thee? The book is packed with easy to execute, open-ended art and craft experiences that emphasise process over product and original thinking. You can read more about me Fangirling over Art Workshop for Children here. I especially love all the suggestions around preparing your creative space. The projects are easy to follow with easy to source materials. This book gets pulled off the shelf regularly! How do you carry around all your must-read books? I’m running a competition over on Instagram to win an awesome Teacher Carry All bag. These bags have a variety of compartments and pockets so you can carry all. the. things. Bonus points for the fact that the bag is sturdy and stylish. Pop by my Insta to enter! Through blogging and Instagramming, I’ve been introduced to an amazing Virtual Sisterhood of Creative Ladies. The Oh Creative Lady series is your chance to meet these incredible, kind-hearted, inspiring <insert ALL the happy, positive adjectives HERE> women. It is such a pleasure to introduce my friend and fellow Aussie mama, Heidi from The Harmony Tree House. I am… Heidi. I live in a country town in South Australia, by the sea. I am the girl with the floral dress and the oversized basket walking through the markets hunting for vintage. I don’t like winter because it means I have to cover my feet. The sound of rain on the window pane, the smell of a fresh packet of colour pencils. Afternoon walks on the beach. I grow what I eat. I wear rose oil on my skin. I like the colour yellow. I am obsessed with constellations. I have sewn the quilt on my bed. I drink tea made of peppermint and flowers. I listen to the blues. I collect sea glass. I like to paint, sometimes with brushes, sometimes with my hands. I like the feeling of squished paint in between my fingers. I have two sons. Before I was a Mum, I planned weddings and was a florist. I believe in Karma. I am always late. Sometimes I don’t even show up at all. Thunderstorms energise me. I am a introverted extrovert. I am intuitive. When I smile I have one crooked tooth. I love to cook. I believe in miracles. I write myself notes. I have so many ideas, I often forget them. I like getting lost. Reading is one of my most favourite things to do, except I get sad when the story ends. I find inspiration in… everything. Seriously. I am very visual and way too dreamy. Inspiration strikes me all day long. Patterns, colours, sounds you name it. And then I get side tracked creating, and realise I have forgotten to adult. Again. But mostly I dream about my art and ideas. I am not making it up I promise. I often create art projects in my dreams and then I have to follow through with them when I wake up. I have a massive canvas hanging in my living room that is a dream I had to paint. It is still one of my most favorite paintings. I am excited about… seeing what life has in store for me. I have never really traveled far. There is a lot to explore. I decided I have a date with INDIA on my 40th birthday. A bit of a soul journey is on the cards. I think I want to spend my later life just wandering. I have big plans for my little Harmony Tree House, I want to see it blossom. I am working on a few big projects at the moment I can not wait to share. I am also excited about watching my babies grow into men. Although pretty sure they will be taller than me by third grade. When I am in a creative slump I… sleep. Just joking I never sleep. I don’t do anything, I just ride it out. Like everything it will pass, but like most things eventually you will be able to draw inspiration from it. I am really proud of… my kids. My greatest achievement by far. And my husband. He is a pretty good egg. Someone once told me… if only you could see yourself through my eyes. That person was my mother. And now I am also a mother I know how much love was in that sentence. So if I ever feel low I remember those words and all is right in the world once more. My advice to you is… never stop dreaming. 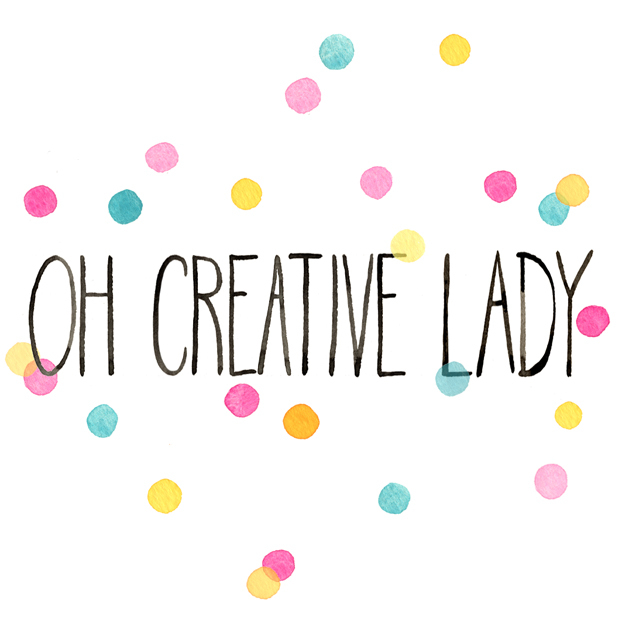 Want to meet some other Oh Creative Ladies? The Oh Creative Lady series is your chance to meet these incredible, kind-hearted, inspiring <insert ALL the happy, positive adjectives HERE> women. 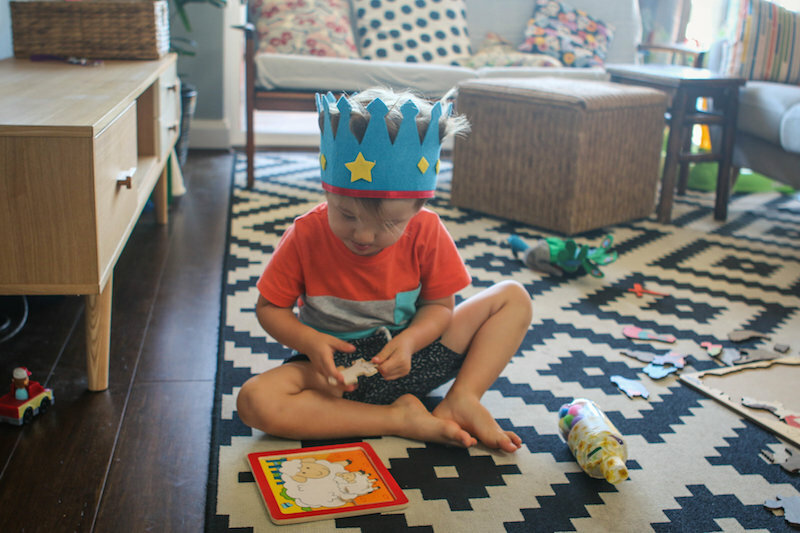 Today’s Oh Creative Lady is celebrating her book baby’s birthday! Katrina Lehman’s Wren is released today and it is the sweet tale of a sensitive soul who yearns for some peace and quiet. 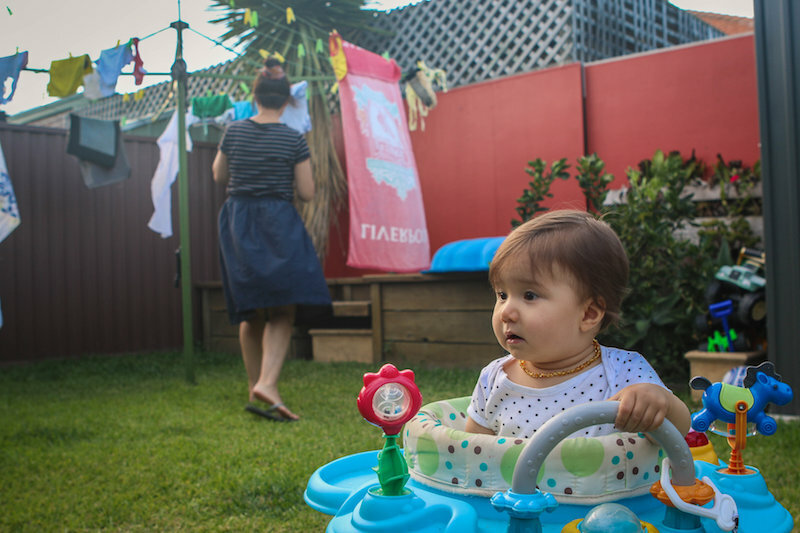 A newborn sister means that Wren’s noisy, inner-city family home is even noisier. He tries everything to block out her wailing. To no avail. So he decides to move to his grandparent’s country home. He enjoys the peace and quiet. For a week. I adore how this book explores how being a part of a family also sometimes requires space and time alone. This is a joyous debut from Katrina Lehman that, teamed with the gloriously busy and colourful illustrations from Sophie Beer, celebrates the sweet chaos of family life. Later in the week, I am sharing my Top Picture Books of 2018 (so far) and SPOILER ALERT! Wren makes my list. It really is a delight. And pop by my Instagram, where I’ll be giving away a copy of Wren tomorrow. It’s a pleasure to introduce Katrina! 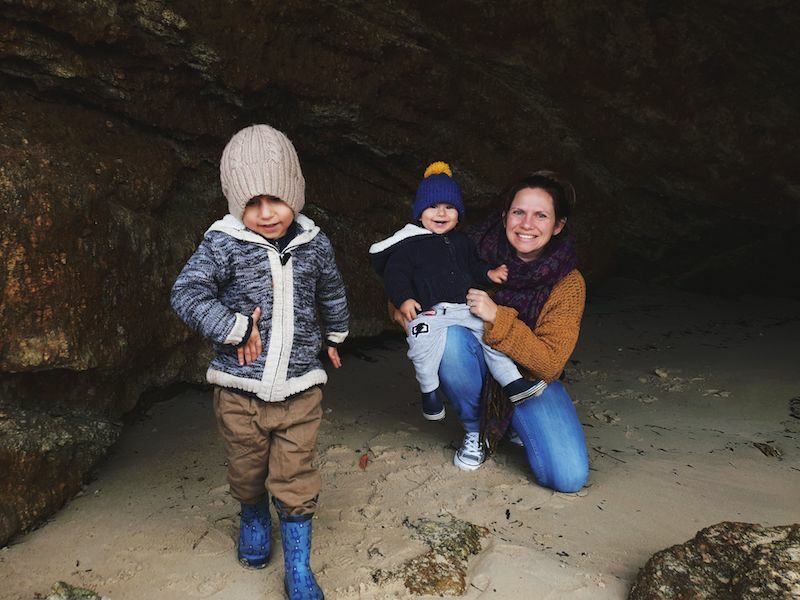 I am… Katrina Lehman, multi-tasker, part-time author/mum/wife/renovator. Full-time dreamer. I find inspiration… So many everyday moments give me inspiration: finding a perfect sentence in an unpublished manuscript in my day job as a children’s book editor for Penguin Books; people’s anecdotes about their family and their childhood (often at night, over red wine); my childhood memories; and my three exhausting, amazing children. I am excited about … Having my first book published – I’ve wanted to be an author since I was little and wrote my own (very bad and very long) version of Famous Five, illustrated, stapled and distributed around school. I’m really proud of… bringing a picture book into the world and finding a dream home for it with Scribble. And I’m so proud of my illustrator, Sophie Beer. This was her first picture book and her artwork is unique and full of energy and chaos, just like Wren’s story. Someone once told me… Follow your dreams – if you really want something, you can make it happen. It might take a long time, life might get in the way, but it will happen. My advice to you is… Trust me: no matter what bad things life throws at you, someone else has had it worse. There is ALWAYS an upside. Click here to grab your copy of Wren from Book Depository. I know I sound like a broken record, but let’s all channel our inner-Oprahs and say a big “PRAISE BE” for the way Instagram connects people. The lovely and talented Sian from Teach. Investigate. Play is a part of my Insty Girl Squad. 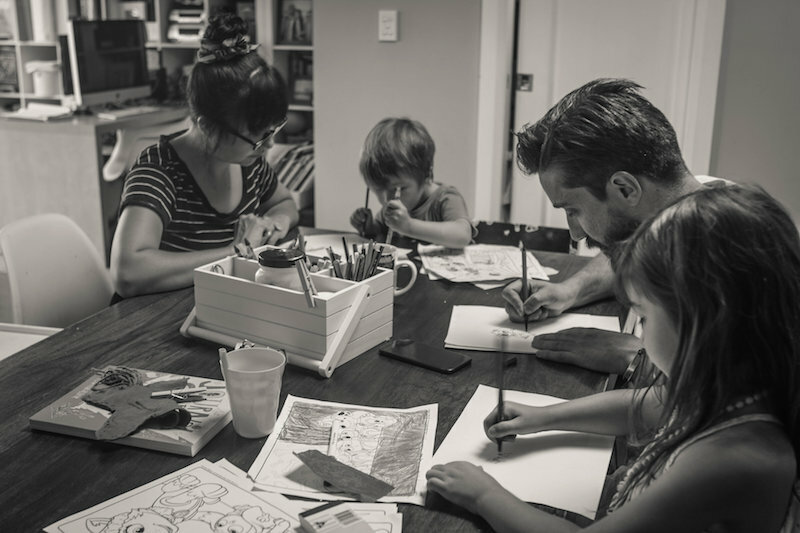 She’s an expat mum of 3 who shares playful learning experiences. 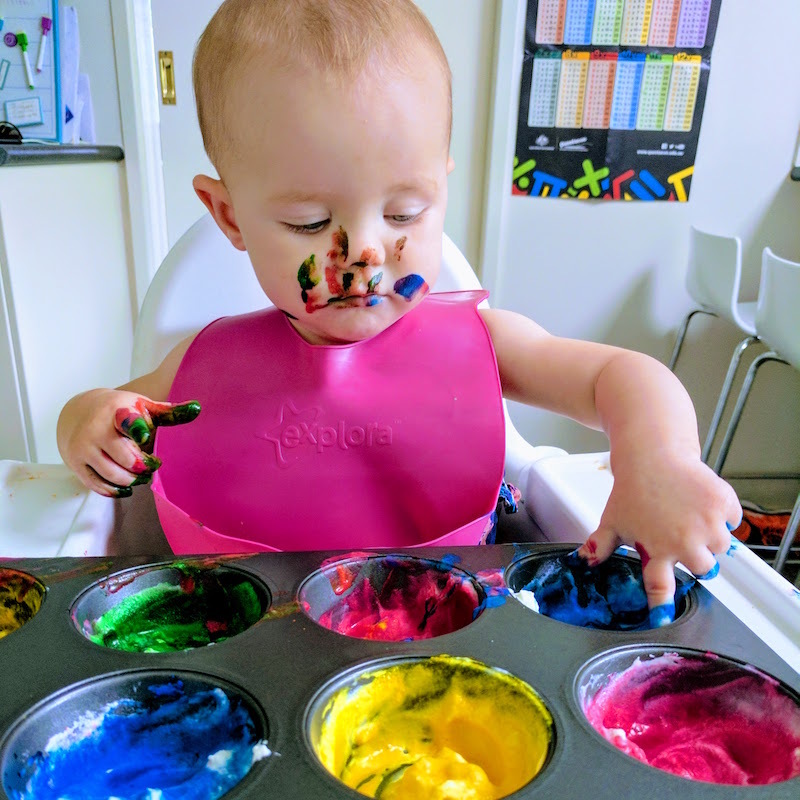 There is always something fun and colourful happening at her place. We’ve collaborated on such creative ventures as Hopfest and Craftmas and she was a super-duper supportive cheerleader when I launched my Christmas eBook. Sian happens to be launching her own eBook later in the year- and it’s the second baby she has birthed this year. She also welcomed baby Elliot into the world in April. The lady is a powerhouse. It’s such a pleasure to introduce Sian! I am… Sian from Teach. Investigate. Play. I’m a British expat currently living in Canberra, Australia. I live with my patient husband, Greg and our three children. We’ve got Harrison aged 9, Zoey aged 2.5 and baby Elliott who was born in April this year. Life is busy, chaotic even but I really wouldn’t have it any other way. It’s hard to exactly pin down what I do right now. 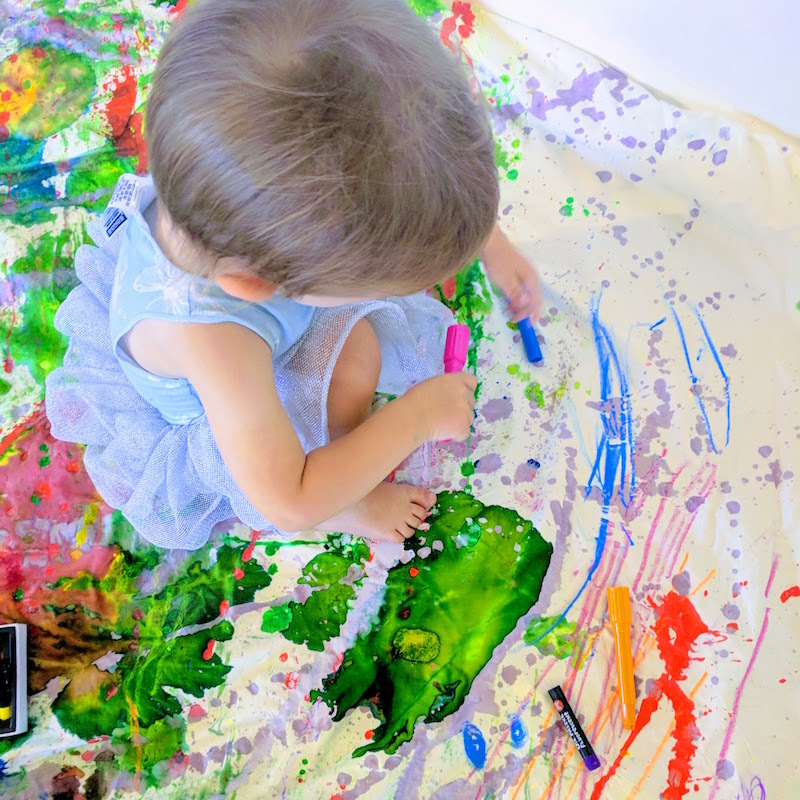 I’m a full-time mamma and education blogger who loves getting creative (read messy) with the kiddos. My career has been a bit random so far, I originally worked as a media researcher in London, before retraining as a primary school teacher when Harrison was tiny. I guess right now my job is somewhere between educator and blogger? I find inspiration… The fellow mammas that I meet both in real life and in the little squares of Instagram inspire me on a daily basis. Moving countries and having young children soon after meant that I’ve often felt isolated so being able to connect with people and instantly find an idea to try is pretty comforting. It’s like a global mum’s group! I guess my general outlook on life is to go with the flow and only put energy into the things that really matter. Having three small humans to care for has taught me that. Do I care that the house is a mess 90% of the time? Nope. I’m more focused on creating a happy childhood for all three. Spending time playing with the kids, reading to them and making messy art projects is far more important than keeping the house spotless! I am excited about … I’m both super excited and completely terrified about launching Teach. Investigate. Play as a proper business venture. Before baby Elliott was born, I was working on my very first e-book the ‘Creative Play A-Z’ which will now launch in July. When we first moved to Australia I felt pretty adrift. I had no idea how to make a career work with all of the travelling we do, but now I’ve finally found my way – thanks mainly to the awesome community I’ve met on Instagram. Later in the year, I’ll be launching an online workshop, so look out for that too! When I’m in a creative slump, I… There’s a few things that seem to work wonders when I find my creativity ebbing away. I often just take some time out. Forcing myself to be creative when I’m just not in the mood makes matters worse, I find. I’ll go out for a walk or do a workout and wait until inspiration hits. I’m also extremely fortunate to live close to The National Gallery of Australia. Its an endless source of artistic inspiration and I often find that creativity returns again after a visit. Gah! This is probably the most difficult question to answer because the achievement I’m most proud of changes. My Britishness also means that I feel slightly embarrassed to celebrate my achievements! Professionally, would it be weird to say I’m proud of my ability to adapt? Having children and moving continents has meant that I’m constantly looking for a way to forge a career and lifestyle that works. The best advice I have ever been given is to spend money on experiences rather than things. It’s actually something I’ve learnt from my husband who is something of a travel expert. When I was fresh out of university in the early noughties, I made the decision to become a fashion journalist. For a while I was really caught up in that lifestyle, constantly fretting about outfits and spending more money that I should have on the latest trend. After having children that all changed. The stuff that seemed important before became insignificant. Nowadays, I’m happiest spending time at the beach with my family or going on a road trip as they are memories that will last a lifetime. Don’t get caught up in the idea that you have to be talented in order to be creative. In fact, this advice goes for anything, not just creativity! I always think that so long as you are enjoying what you are doing, then that’s all that matters. I received a distinctively average ‘B’ grade at GCSE art but this doesn’t put me off getting the paints out with the kids because we all have an absolute blast! Meet Cristin, beholder of not one, but two excellent blogs. 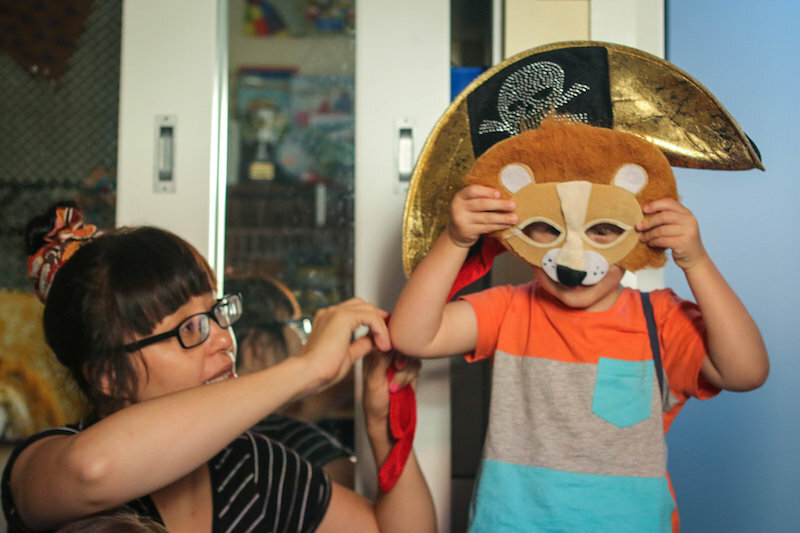 At Artsplorers, she focuses on experiences involving the arts for kids in Sydney. Cristin’s passion for infusing the arts into the everyday for all children (not just the Sydney-based ones!) is contagious. There are so many points in this interview where I was furiously nodding my head like a crazy lady. People who don’t eat breakfast! Shower ideas! A world curated by Leslie Knope! 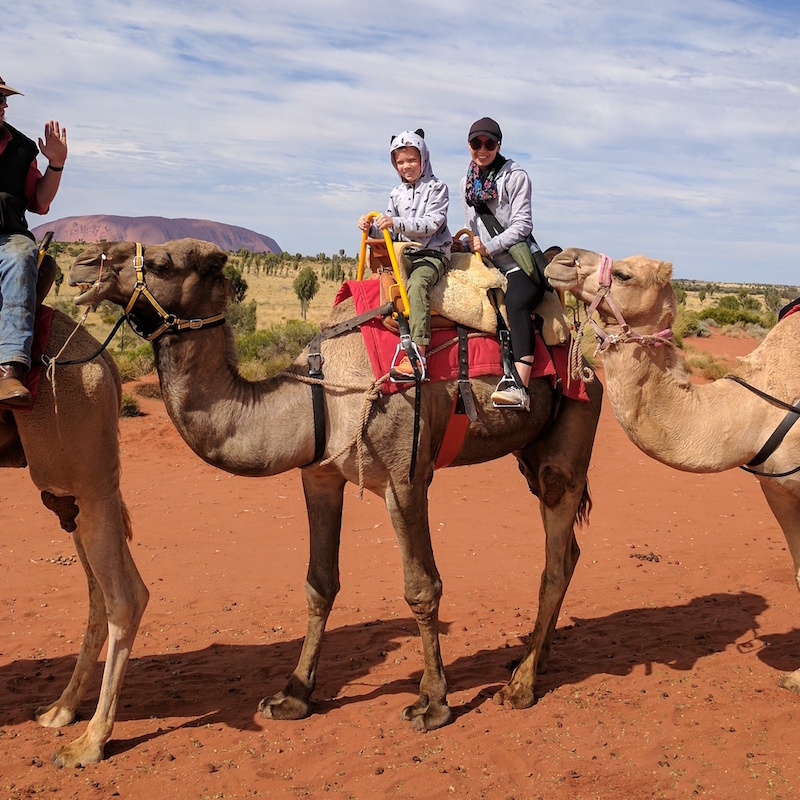 Cristin is originally from the US and shares her experiences of expat living on her second blog, Between Roots and Wings. I love, love, love having a sticky beak in to the lives of others and how they arrived at where they are. I adore how all of my Oh Creative Ladies are so open to sharing their pearls of wisdom. Prepare to add a few more pearls to your collection. Welcome, Cristin! I am… Hello! I’m Cristin. I like peanut butter, and folk music, and op shops, and Toni Morrison. I’m an insufferable politics sharer on Facebook. I make really good salsa. I don’t understand people who don’t eat breakfast. 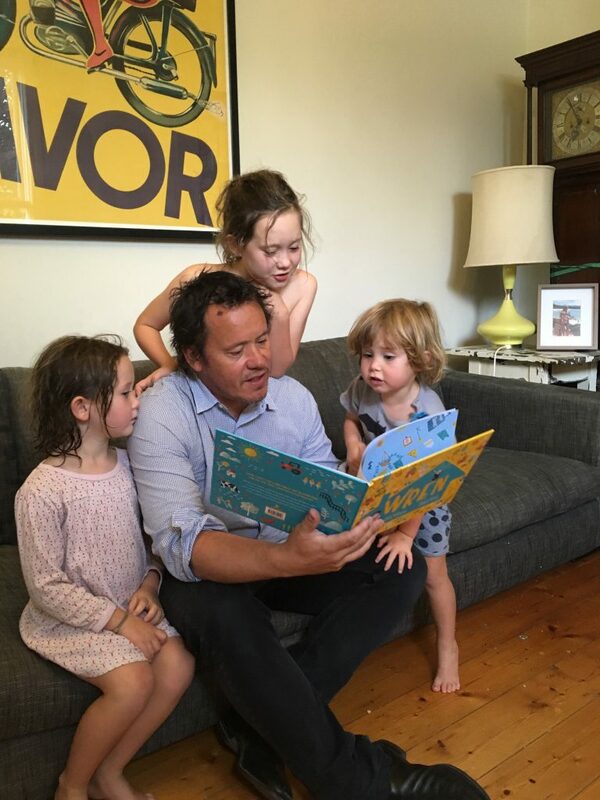 I live in Sydney with my very nice husband and two sweet little girls, aged 1 and 5. We moved to Australia from the U.S. in 2010, and I feel like we’re probably going to stick around for awhile (I like flat whites, and health care and I definitely don’t like Donald Trump). My background is in the theatre. I have a BFA in Theatre Management and an MFA in Dramaturgy/Theatre Criticism. After graduating, I was the Literary Manager at a theatre in Florida. When I moved to Australia, I found that there wasn’t an amazing amount of demand for someone with my professional background, so I spent a few years trying to carve out a niche for myself. I started a website where I interviewed Australian playwrights. I did an internship at Playwriting Australia (it was hilarious to be a 30 year old intern!). I did a project where I read 100 Australian plays in 100 days, and wrote about it for AustralianPlays.org. 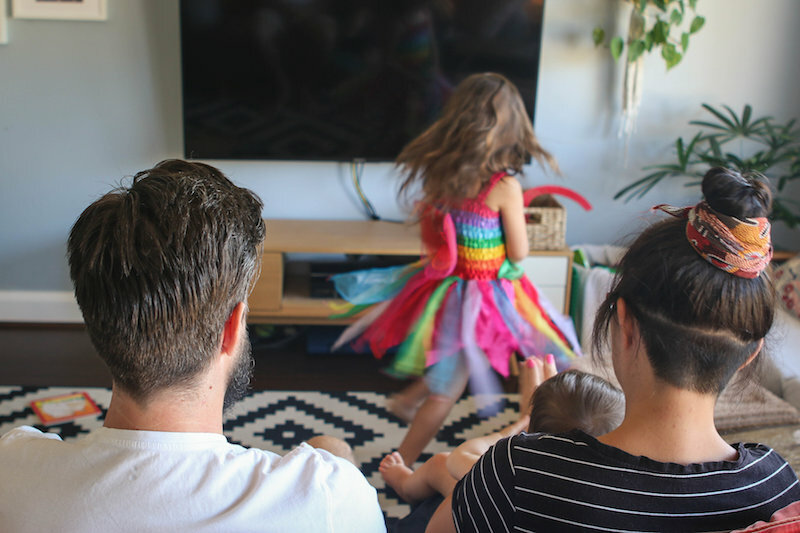 But, once my daughter came along, my interest in doing that sort of hustle and working theatre hours really waned, as I focused on being a stay-at-home mother. I’d started an expat blog when we moved here, and that became my creative outlet when she was little. Then, a couple of years ago, I had a “shower idea” that I couldn’t shake, which was to start another blog about kids and the arts. I’d never seen anything quite like what I had in mind. 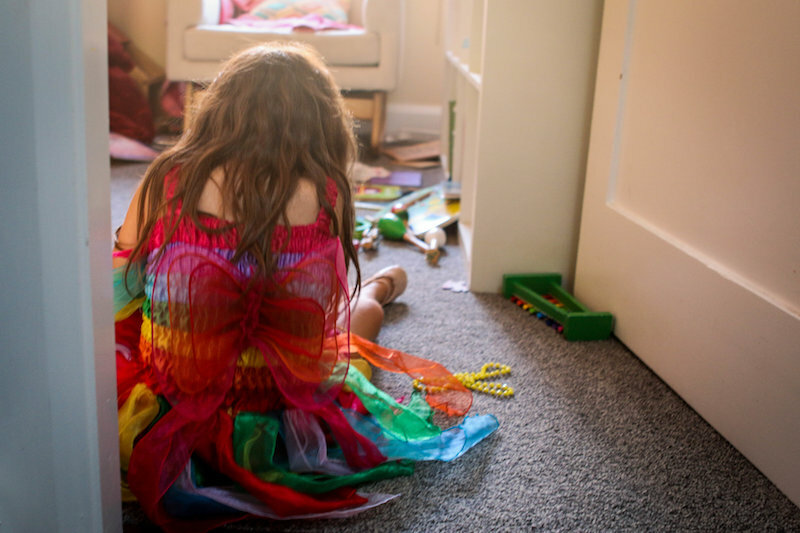 I’d seen “out and about” blogs, and book blogs, and craft blogs, but I wanted to do something with an overarching theme about the importance of all of the arts being a regular part of children’s lives. So, my current project, Artsplorers was born. 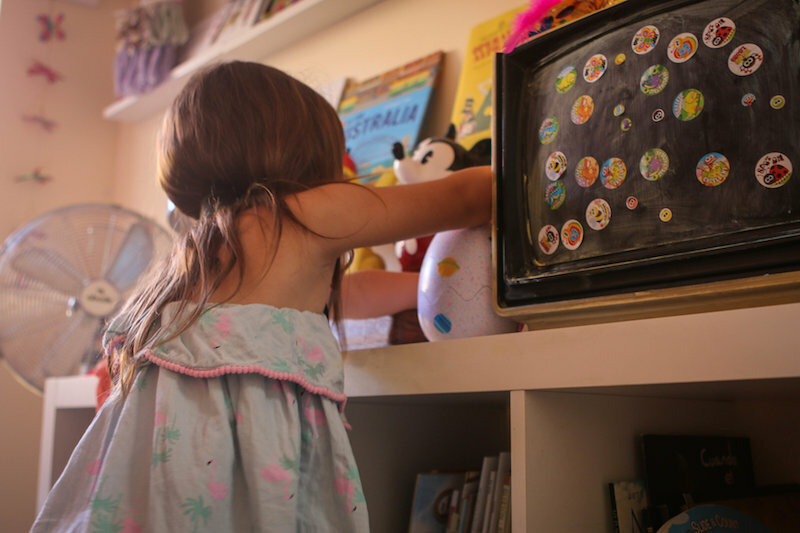 It focuses on the arts for kids in Sydney, with local reviews, a calendar of events, and a directory of area arts classes for kids; but, many of the posts are also relevant to parents everywhere. I find inspiration… I’m inspired by people who don’t try to hide their intelligence in a culture where being smart isn’t always considered the coolest thing going. I’m so over cynicism, being blasé, and not “rocking the boat.” I want to spend my time with people who think about things, care about issues, and are happy to share their wild, weird and wonderful passions because I’m always looking for the courage to do more of that, myself. As I’ve gotten older, I’ve also begun to refuse to give time, whether in real life or in the media I consume, to people who don’t choose compassion and kindness. I guess what I’m saying here is that I want to live in a world curated by Leslie Knope from Parks and Recreation! I am excited about … At the beginning of this year, I started a new monthly feature on Artsplorers where I’m reviewing children’s music (music that you can actually stand to listen to). I’m no music expert, but I’ve been discovering this whole world of Australian children’s artists who are so great, and are just hustling their tails off to get their music out there. It seems impossible to escape The Wiggles, but seriously, you have got to hear Angie Who and the Teeny Tiny Stevies, and all these other great acts out there who both you and your kids can love. Artsplorers is just little, but I love that I have a rooftop to shout out about something that not many people are putting a spotlight on. When I’m in a creative slump, I… A few years ago, I had this epiphany that whenever I’m about to break something open creatively, I always go into this awful existential crisis funk for a few days. I go into a complete grump, and I just want to wall myself off, and not talk to anyone. Such an introvert! And then, I get myself out for a really long walk in the sun, and suddenly things just break wide open with a new idea or way of looking at a problem. I’d love to figure out how to get myself unstuck without the terrible mood first! 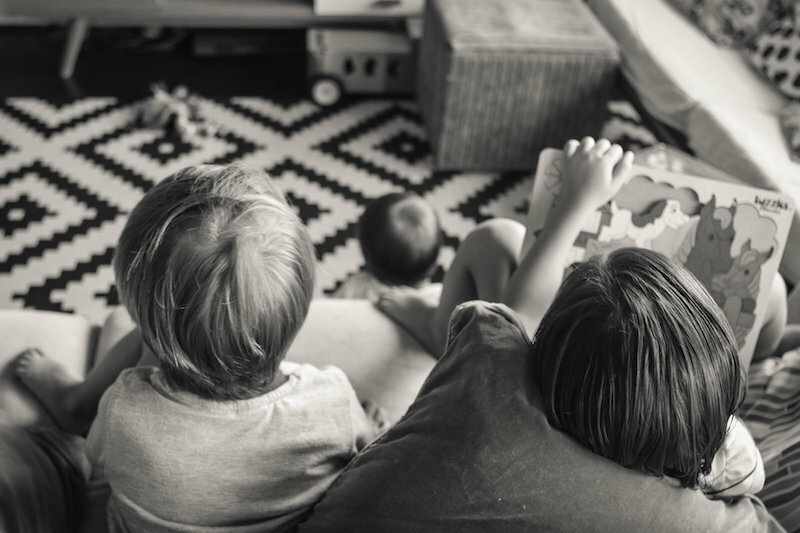 I’m really proud of… Is it too cliche to say that I’m proud of my kids? Seriously, though, raising little people is tough stuff, and I think my girls are coming up pretty ace, so far. Getting my Master’s degree at Brooklyn College was probably the hardest and most rewarding thing I’ve done. I sometimes miss those days of deep diving into Shakespeare, Ibsen, Brecht, and all the great writers, plus getting to do so much collaborative, creative work, all while surviving on Chinese takeaway, pizza slices, and almost no sleep or money. And, I suppose moving half way around the world to a place I’d never been with a two suitcases and my boyfriend was a pretty big leap. Someone once told me… The most influential thing I’ve ever read has been the work of mythologist Joseph Campbell. I always go back to his words when I need to take a step forward or understand something. He explained how our need for stories and metaphor is a universal human experience, across all times and cultures. They teach us how to live. His most famous quote is, “Follow your bliss, and the universe will open doors where there were only walls.” Follow your bliss has never steered me wrong in my life. My advice to you is … Take your kids to a museum. Make something with them. See a play. Talk about street art when you pass it. 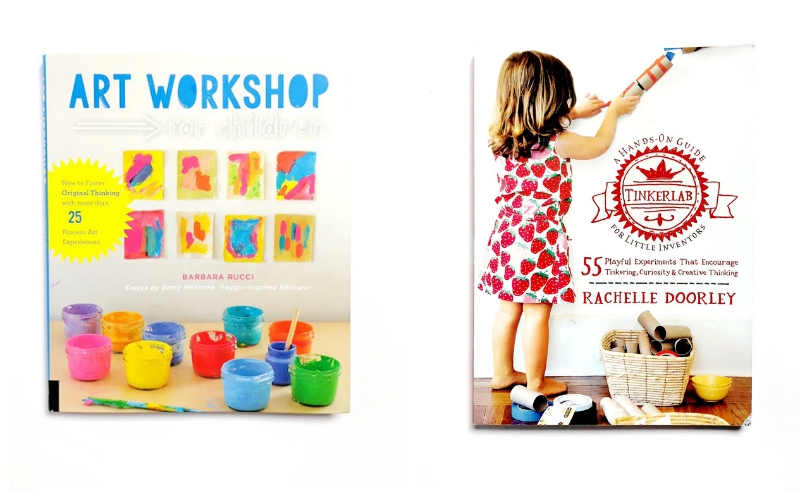 Pick out gorgeous picture books to read with your little ones, and give them as gifts. Show them a famous dance company on YouTube. Listen to a lot of different types of music. Have a dance party in your living room. In short, support the arts and make them part of your life every day. We all have busy days, and the arts are the heart and soul that make our lives rich. All photos in this post are by Sharon Troy-Baldwin. Sharon gifted us a “Day in the Life” session. How do you record family memories? I start creating a family photo album, sifting through photos from the year that was. What happy snaps make it into the hallowed photo album Hall of Fame? Photos of birthdays. Christmas. First times riding bicycles. 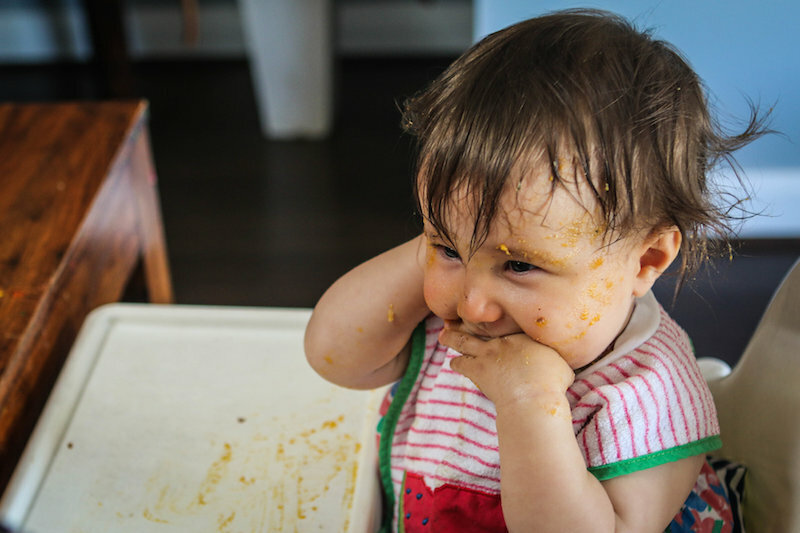 As a parent, the photo album task is one that I commit to with a strange fervour. We are the Memory Keepers. Parenting is a roller coaster of contradictions. Days filled with memorable moments. Days filled with mundane moments. 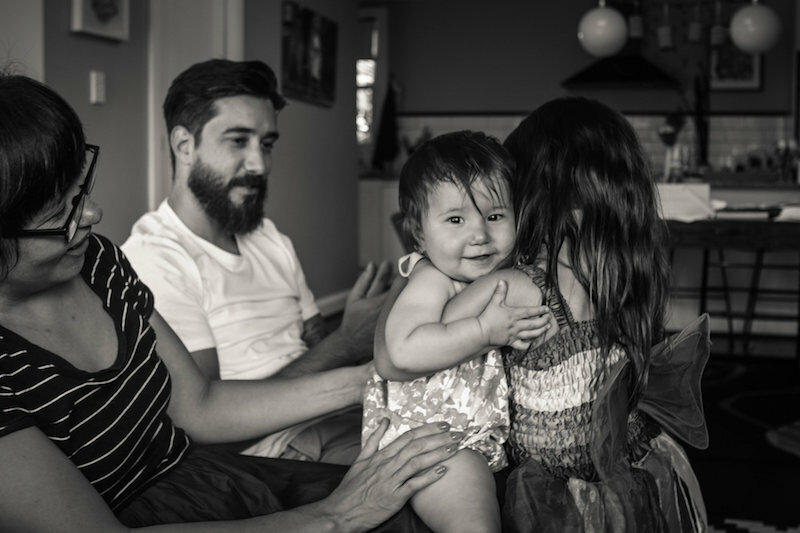 Whilst I love our family photo albums as a record of all the Big Moments, what about those in-between mundane moments? Those fleeting, blink-and-you’ll-miss-it, I’m-gonna-miss-this-one-day moments? That moment when the sun filters through the back window, catching my golden-haired child as he is immersed in play. The way my eldest arranges her “treasures” into seemingly haphazard collections. In her eyes, however, they are meticulously organised. The way my babe vacuums down food despite only having one tooth. 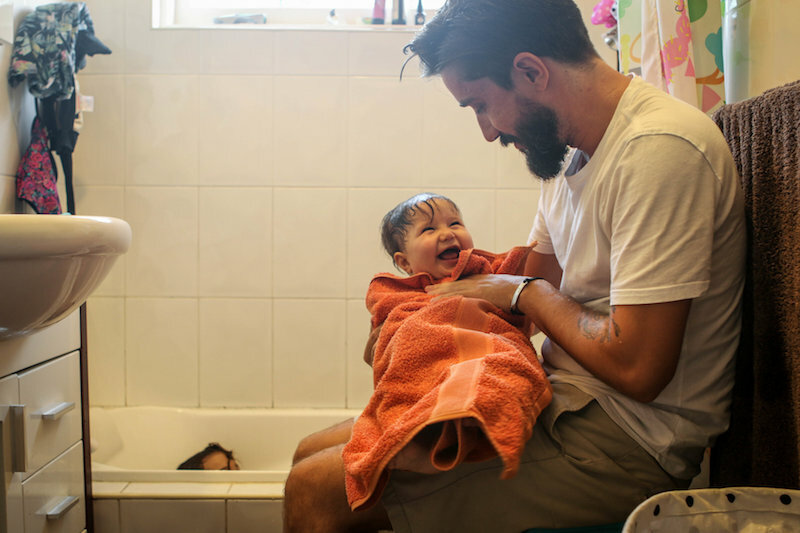 The calm and chaos that bath time brings, signalling the march towards bed time. The way our living space sometimes feels overwhelmingly overrun with little people, pencils, books, emotions and needs. Those little everyday moments. 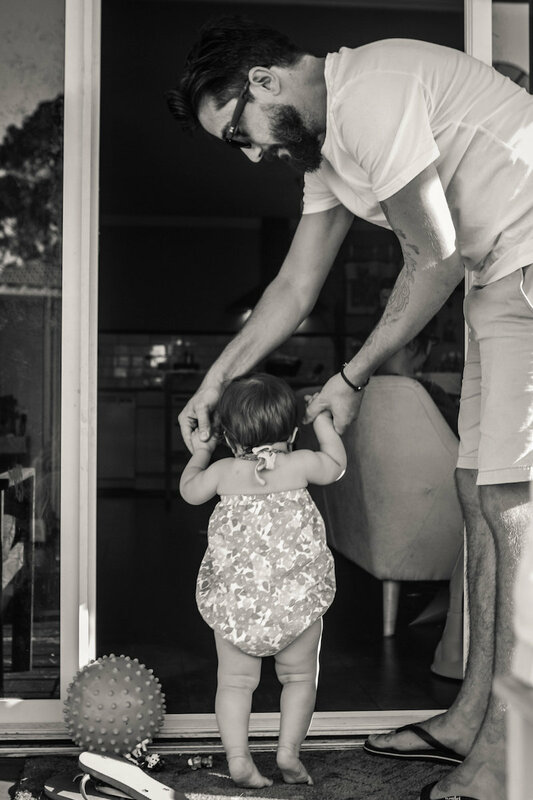 Sharon Troy-Baldwin is a Sydney-based family photographer who offered to capture some of my family’s little everyday moments. 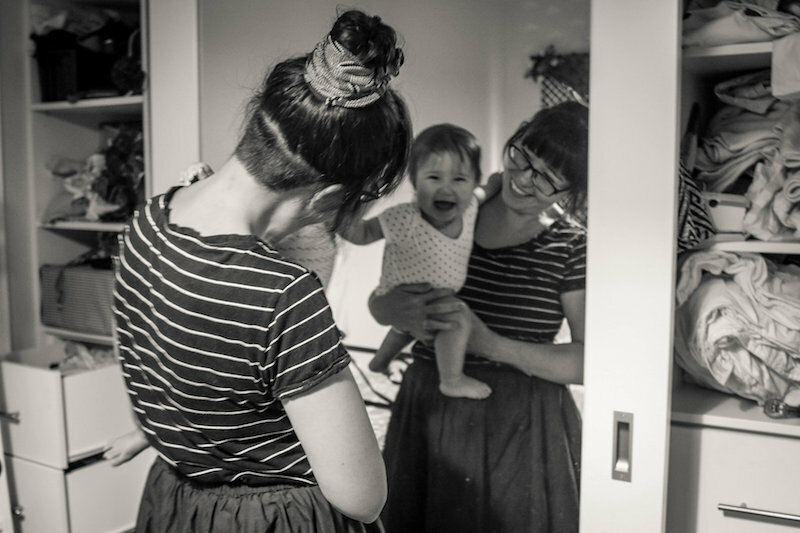 She offers “Day in the Life” sessions that document families just doing their thing. Living their lives. Dealing with the tantrums. Dishing out crackers and apples for the 65th time that day. Being audience to impromptu living room dance performances. Completely natural. Unscripted. Unposed. No matching outfits. No forced smiles. Just us being us. The day before our shoot, Sharon and I had a quick chat on the phone about what to expect. Sharon is super flexible and easy-going. Initially she offered to come and hang out at our place for 8 hours to capture our day. However, we are still in the glorious season of life where my kids take day naps. So we decided to opt for a 4 hour (ish) afternoon session, post-naps. Capturing what happens here most afternoons- some play, dinner prep, bath time, chores, some TV time. You can choose to have Sharon follow you on a big day out, down to the shops or spend the day at home. The emphasis is on your day simply being documented. We chose to hang at home because we do a lot of it, we’re really good at it and have you tried to get 3 little people out of the house? Are these photos an honest depiction of our daily life? Except for the fact that I did actually get out of my pyjamas, I brushed my hair and my house was a tad bit tidier than usual. But this is not a photo session where you need to wear your Sunday best, have your hair done and a full face of make up on. 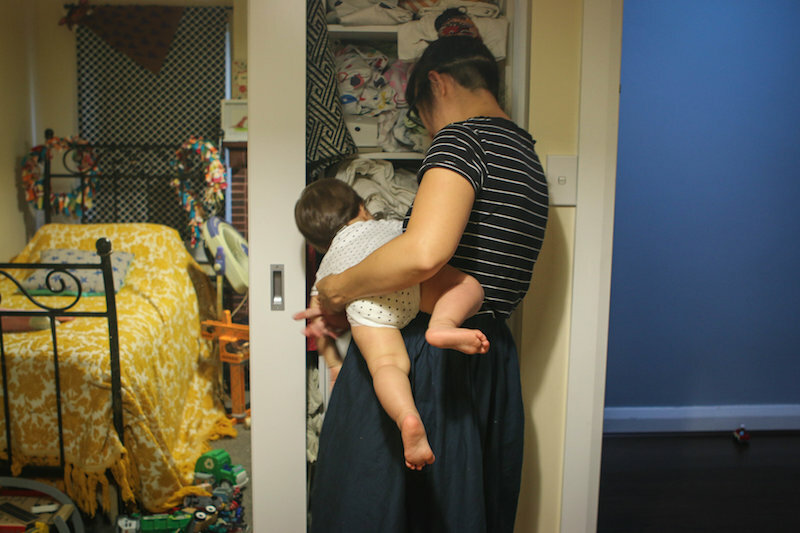 I adore the fact that I have photos of me putting laundry away whilst balancing a wriggling babe on my hip. This is our life. This is absolutely an honest reflection of this season of our lives. But if anybody has tips on organising linen, please holler. 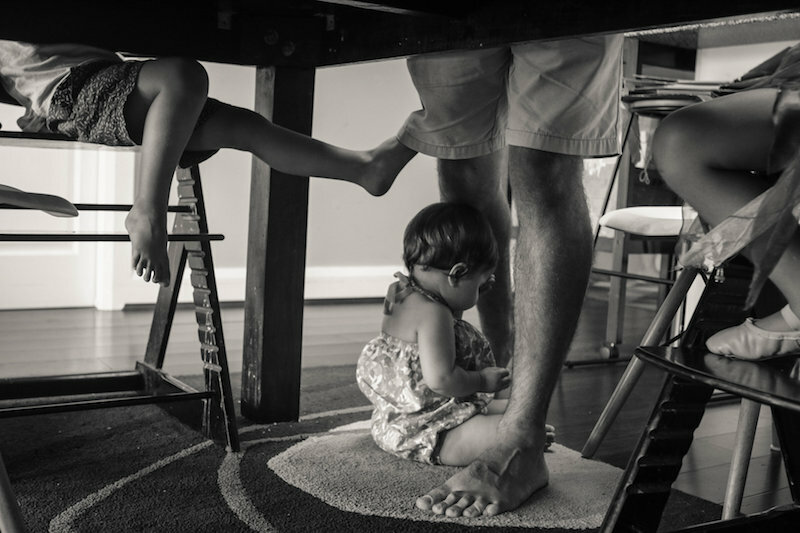 What’s it like having a photographer/paparazzo in your home? 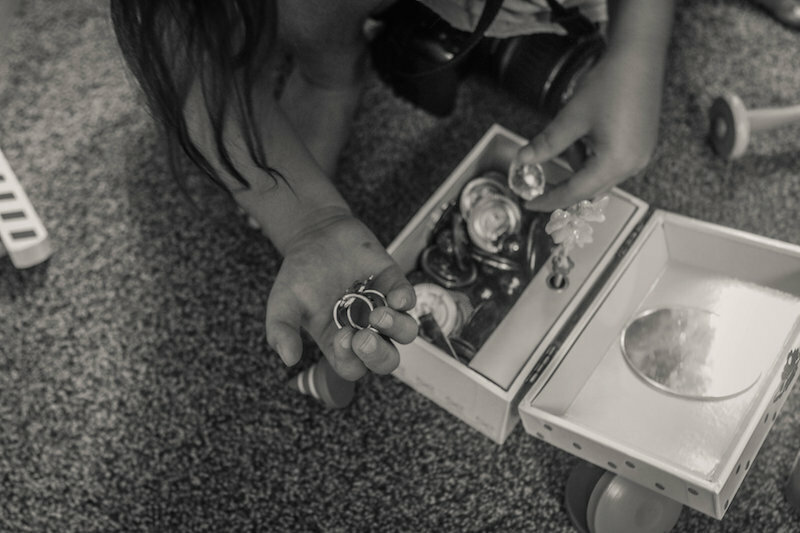 In our pre-shoot chat, I mentioned to Sharon that our preschooler likes to be in charge. READ: Doesn’t always respond well to instructions from people she doesn’t know well. We had a formal photo shoot last year where the photographer issued instructions to Miss 4. Miss 4 then refused to have her photo taken. Fun times. Those photos now hang on our lounge room wall and make us laugh. It looks like Happy Families but the behind-the-scenes involved some painful parenting moments. I wondered how Miss 4 would respond to someone on her home turf, taking her photo. Miss 4’s response blew me away. I completely attribute it to Sharon’s gentle approach that put the preschooler at ease. 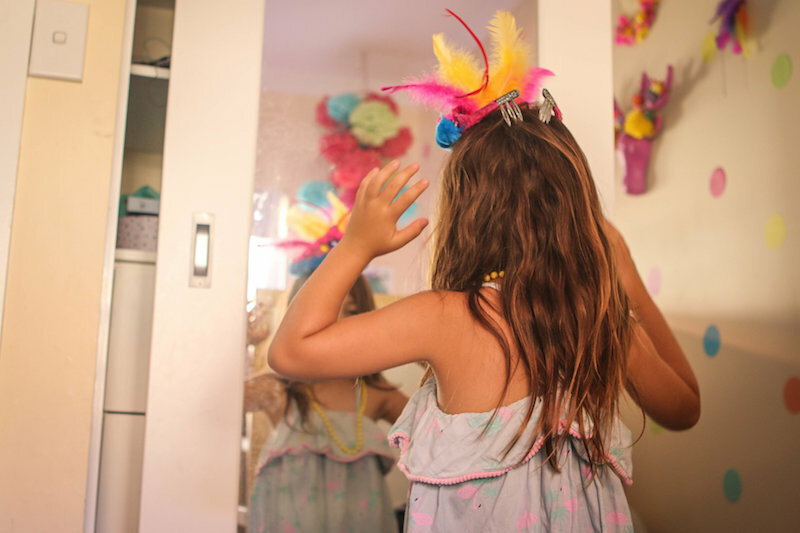 Miss 4 was keen to show Sharon her room, her treasures, her favourite dresses, her dance routines. The memories of this part of the experience are actually some of my faves. Sharon really does a marvelous effort of putting you at ease. You just go about your day and she’ll capture it. Simple. I adore how our photos capture our story. Our everyday. Our love-soaked memories. Follow Sharon on Facebook or find out more about her documentary photography packages on her website. Sharon provided the shoot and images free of charge. All opinions expressed here are my own and honest. Cross my heart.